Calderdale Council and Calderdale CCG recognise the key role of the VCSE sector in creating the right environment for community resilience. In Calderdale, VCSE infrastructure support services had long existed but separate commissioning practices by the Council and the CCG had left services fragmented and competing, leading to overlap, duplication and gaps in provision. Front line organisations began to disengage. Our innovation: an Alliance commission. We pooled our budgets creating an investment pot of £720,000 over 3 years and agreed shared outcomes. We attended a Locality workshop on alternative commissioning methods which prompted us to make use of the Light Touch Regime above the £615,728 threshold combined with Alliance contracting. A PIN was published and the Council ensured that it conformed to Regulations 74 to 76 set out in the PCR 2015. 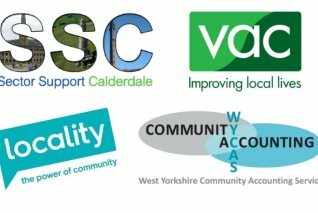 The Alliance brings providers Voluntary Action Calderdale, North Bank Forum, Locality and WYCAS together around the delivery of whole system outcomes. Critically, it is about fostering a ‘best for project’ and ‘not best for self’approach, and overcoming the ‘us and them’ mentality that has recently characterised the relationship between commissioners and providers. We now have a single contract with all four providers. We have made savings in the commissioning resource and the pooled funding costs no more than the two separate contracts. The Alliance includes two new organisations, bringing fresh expertise, and has improved reach, supporting more frontline organisations than previously. We are one of the few Alliances operating public service contracts. To agree a shared vision and forgo organisational agendas or competitive protectionism is a significant achievement. Open book accounting and collective contract monitoring are encouraging a culture of high achievement. Our combined skills provide a unique income generation potential and the Alliance gain share principle means this profit feeds a shared innovation pot. Our joined up approach means that groups are not ‘passed around’ and gaps in support are immediately addressed. Improved communication between partners allows swift action to be taken to resolve problems facing the VCSE organisations in Calderdale. This positive approach is being noticed by others and encouraging them to become more involved. A local funder has recently joined our development group to provide united support to VCSE organisations facing extreme difficulty. Just get talking! Speak with other commissioners to combine funds for shared outcomes. Whole system outcomes require whole systems approaches but it takes one person to take the first step. Got an Alliance idea? Start the process early and ask for potential Alliance members to come forward. Development time is the perfect place to test organisations Alliance behaviours and attitudes. Get help from outside the box. To really imagine a service differently goo d facilitation from someone outside each organisation is key. Live the idea. Really think about why and how you are all choosing to work in an Alliance. Be honest. Understand the organisational weaknesses and strengths of each partner at the beginning. Commit to open book accounting and group outcomes monitoring. Persevere. New ways of working will inevitably lead to new problems. If it feels difficult it’s because it is different. The Alliance and partners are currently working together to reshape services for year two of the contract based on the key drivers of what the VCSE sector needs and what works. Representatives from more than 40 VCSE organisations and local communities recently took their opportunity to shape the detail of the future services at a Theory of Change event. The difference in tone presented by the Alliance –from despondency to engagement, from isolationism to collectivism – certainly rubbed off. Organisations felt empowered to challenge the Alliance to provide better support in some areas but also challenged themselves to take more responsibility in others.